How did it go with the resolutions for 2017? The year is coming to an end and you are already thinking about what to do for 2018. Instead of paying your gym membership, we suggest you follow these recommendations to pursue the most enriching experiences. Isla Mujeres is a ferry away, half an hour away from the secluded and sumptuous Playa Mujeres. It was named after the Spanish conquistador Francisco Hernández de Córdoba when he discovered statues of women in Mayan temples. Here you can enjoy the beach in a relatively secluded, relaxed environment with local gastronomy and crafts at your disposal. 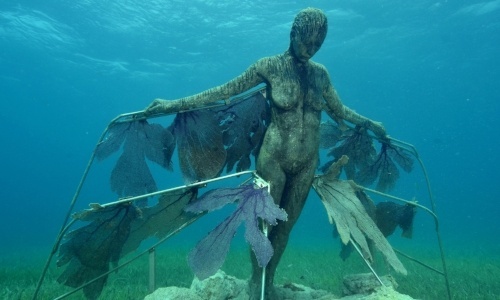 Despite not being the only underwater museum in the world, it is one of the most interesting and is located under the sea, off the coast between Cancun and Isla Mujeres. It consists of a series of more than 450 sculptures created by the artist Jason deCaires Taylor, whose purpose, besides attracting tourism, is to preserve marine life thanks to the material with which they are built. You can read the whole story here. If you do not like it or cannot dive, do not worry. You can visit it through a glass bottom boat, as well as in a Jungle Tour. 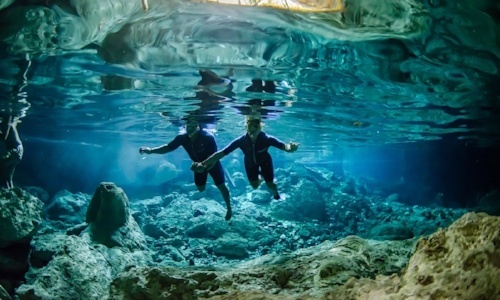 If you are looking to swim in an environment of natural beauty, the Yucatan Peninsula is characterized by being home to kilometers of cenotes. Many of them offer access to underground watercourses full of magic. Isla Contoy is one of the favorite places for couples looking to celebrate their love in secluded places. It also works if you are just an enthusiastic birdwatcher, for you will find a paradise for them there. 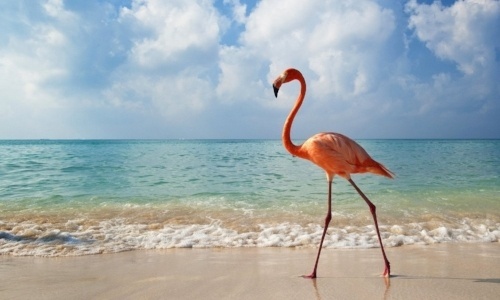 This place has a spectacular beauty and is the most important nesting place for seabirds in the Mexican Caribbean. It houses more than 150 species, including one of the largest populations of pelicans in the Caribbean. Only 200 people can be on the island at the same time and a local biologist makes observation trips, with the aim of supporting conservation. Tequila is part of the essence of Mexico. If you visit our country you have to try it, without excuses. Sure you've heard his name, but you can know a little more about tequila at the Sensory Museum of Tequila, which is located in Hacienda San José del Refugio. In this museum, besides tasting this distillate, you will learn about its production in an hour and a half tour. If you are an extreme sports fan, you can jet-pack and fly 30 feet in height with the help of a certified instructor and a safe equipment. Jetpack Adventures offers that and other activities within the hotel zone of Cancun. The tour lasts up to 30 minutes and part of the Faro Marina. 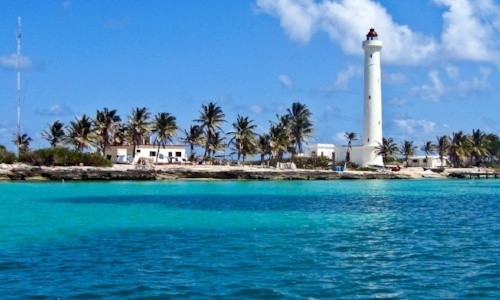 This quiet fishing town is located south of Cancun and is one of the oldest on the Caribbean coast of Mexico. 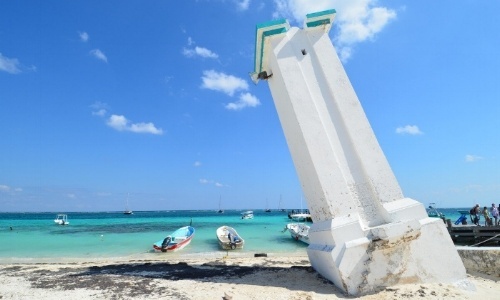 For your holidays where you plan to just relax, Puerto Morelos is the option. You can enjoy its pristine beaches, sit on the sand, sunbathe and visit the town. Here you can try genuine gastronomy of Cancun, as well as acquire souvenirs. 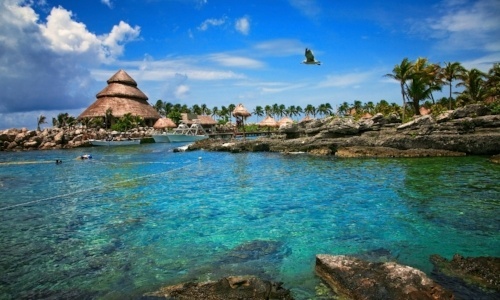 Xoximilco is part of Experiencias Xcaret and is located less than ten minutes from the Cancun International Airport. 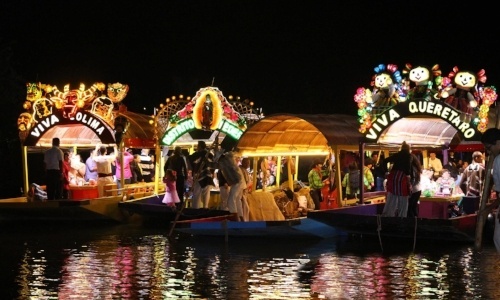 In this park you can taste the flavors of the Mexican cuisine, its sounds and culture while sailing in a gondola look-alike called 'trajinera', painted in bright colors. During your journey, the mariachis will entertain the party, you will drink beer, tequila and 'aguas frescas', which are water mixed with fruit and other typical flavors. In the end, all the trajineras join in a Mexican party. Xel-Ha is also part of the Xcaret family. 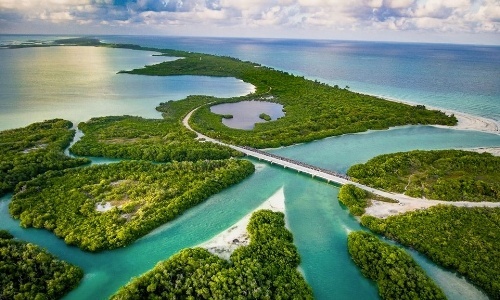 Here you can do much of what is done in the Yucatan Peninsula: swim in cenotes and grottos, observe local marine life, visit Mayan ruins, ride a bicycle through the jungle, fly kites and cross a floating bridge. You can even travel on zip lines and test your courage by jumping from the 'Stone of Courage'. Later you can go to any restaurant to enjoy the rest of your visit. 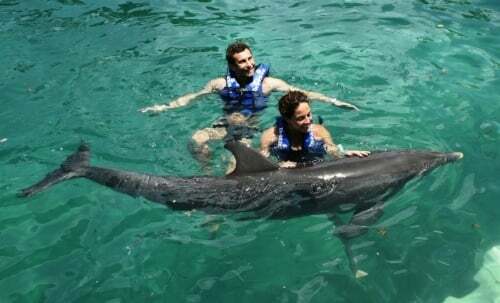 Cancun is home to many habitats for swimming with dolphins, some are even located in the sea. You can do it with certified guides and caregivers, who make sure to maintain a safe environment for you and the dolphins. At Delphinus we want you to have a prosperous 2018 full of adventures. Book with us on your next vacation and add another memorable experience to your list. Know us!